Green Valley senior Izzy Madrid will finish her high school career as a 12-time letter winner and is also the senior class president. Izzy Madrid is going to graduate from Green Valley in the spring, meaning the 15-hour school days finally will be over. 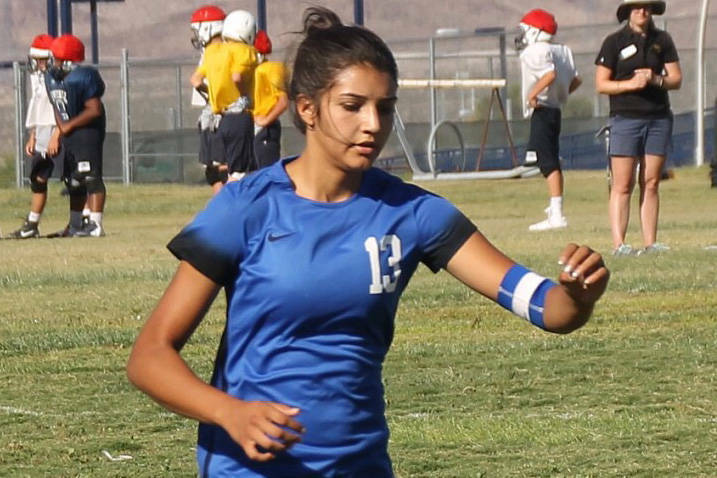 Madrid, a soccer, flag football and track standout for the Gators, will conclude her high school career with 12 varsity letters and a soccer scholarship to Division-II Cal State-Monterey Bay. She’s also the senior class president and a four-year member of Green Valley’s student council and class committee, giving her quite the resume. But she embraces her lifestyle — one fueled, in part, by a competitive drive and genuine spirit. Madrid started playing soccer at 3, and knew it was the sport she wanted to pursue in college. She cracked Green Valley’s roster as a freshman and pushed upperclassmen for playing time before joining the flag football and track teams later in the school year. Madrid qualified for the state track and field championships as a ninth-grader, emerged as a full-time starter on the soccer field and holds multiple school records on the flag football field — all while playing club soccer and contributing to student government. 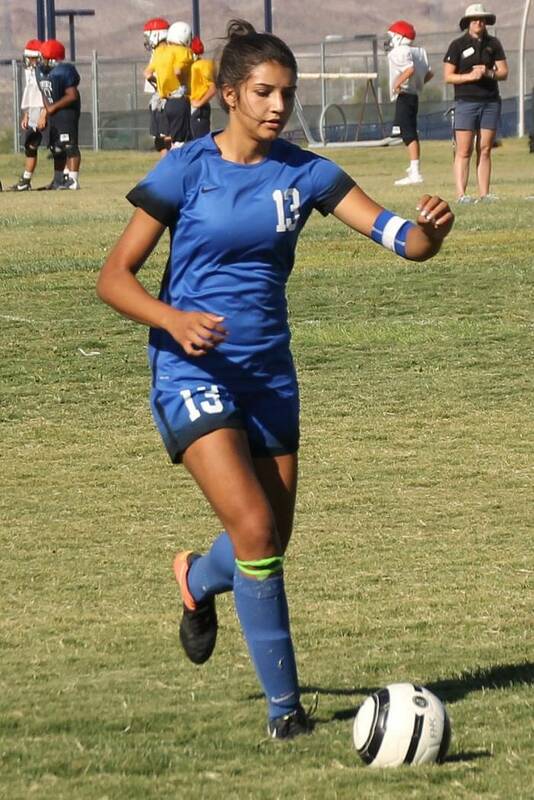 Madrid began garnering attention from collegiate soccer programs during her junior season and had offers from multiple programs before deciding on Cal State-Monterey Bay in the summer. She had opportunities to play at Division I schools, namely Cal State-Fullerton, but opted to go the Division II route so she can participate in academic extracurricular activities. Madrid qualified for the state track and field championships in her sophomore and junior seasons, too, and was a state finalist in the 100-meter high hurdles. She helped the Gators reach the Class 4A state soccer tournament in the fall, plans to do the same with the flag football team and hopes to finally capture the elusive track championship. Longtime Bishop Gorman girls volleyball coach Ed Van Meetren has resigned, Gaels athletic director Grant Rice announced Tuesday. Van Meetren coached volleyball at Gorman for 19 years and led the program to its first state championship in 2016. “We are grateful to Coach Van Meetren for his years of service and his dedication and loyalty to Bishop Gorman High School,” Rice said in a statement. Democracy Prep junior point guard Najeeb Muhammad will miss about a month with a broken thumb, Blue Knights coach Trevor Diggs said. Muhammad is one of the top players in the Las Vegas Valley and helped Democracy Prep (7-1) win its first six games. The Blue Knights’ loss was to Cheyenne without Muhammad.